In this episode it's MORE hilarious segments from the spin off show #NOTsensical! a LIVE radio show from CCR 104.4FM. 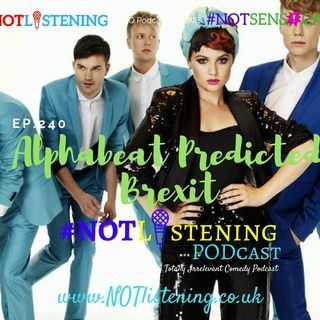 In this episode Adam and Garrie work out that the ... See More band Alphabeat predicted BREXIT years before it was a made up word! As of now ALL #NOTsensical Podcast Episodes ARE available for download ONLY on The #NOTlistening Podcast Feed.